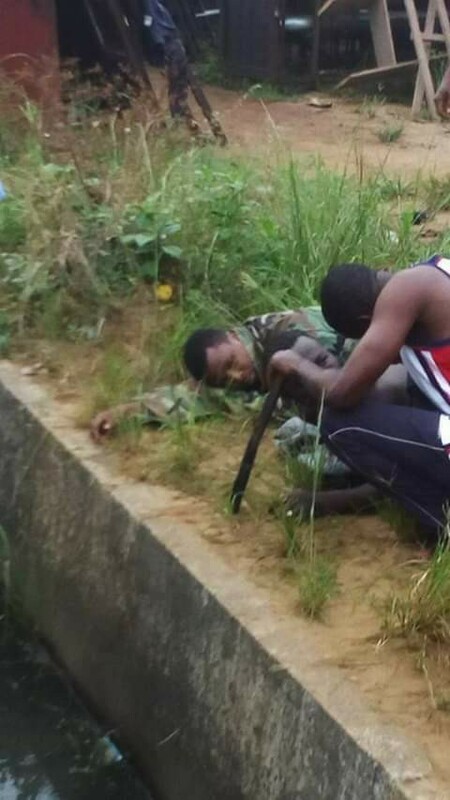 Some suspected criminals in military uniforms have been nabbed and dealt with by an angry mob in Akwa Ibom. 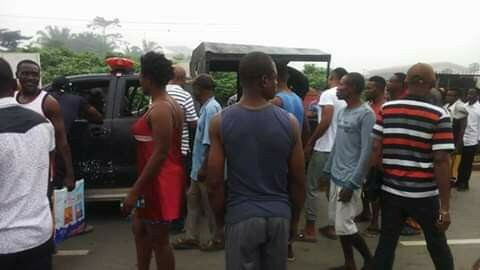 Luck has ran out on two suspected criminals wearing military uniforms after they were apprehended by a mob in Akwa Ibom state. The mob were apprehensive as robbers operated in the area in the past wearing military uniforms. It was gathered that the suspected hoodlums were nabbed wearing military outfits along Information Drive, off IBB way Uyo, the state capital. They were about to be lynched by the angry mob before they were rescued by the police who arrived just in time. Next Princess Meghan and Princess Kate are fighting – and now Harry and Meghan are being forced to MOVE out of Kensington Palace because of it.